Like the narcissus growing under my tree. The first to show after the winter so long. They are a sweet treat for even a peasant! Among the green stalks and petals so fair. Just a large, human oaf. 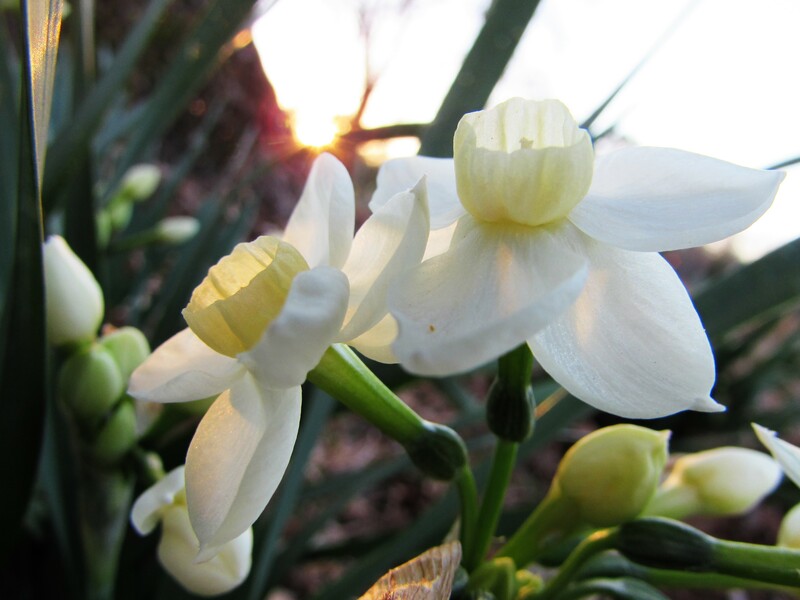 Who loves the narcissus better than most. Such a beautiful flower! Wish you could share it’s aroma! What a wonderful way to start a Monday! Thank you! So beautiful…I happened to pick some on my way home yesterday. I adore that scent – it’s spring.